So here we have bottle number 74 of the second saca of 2013 from this fantastic bodega. 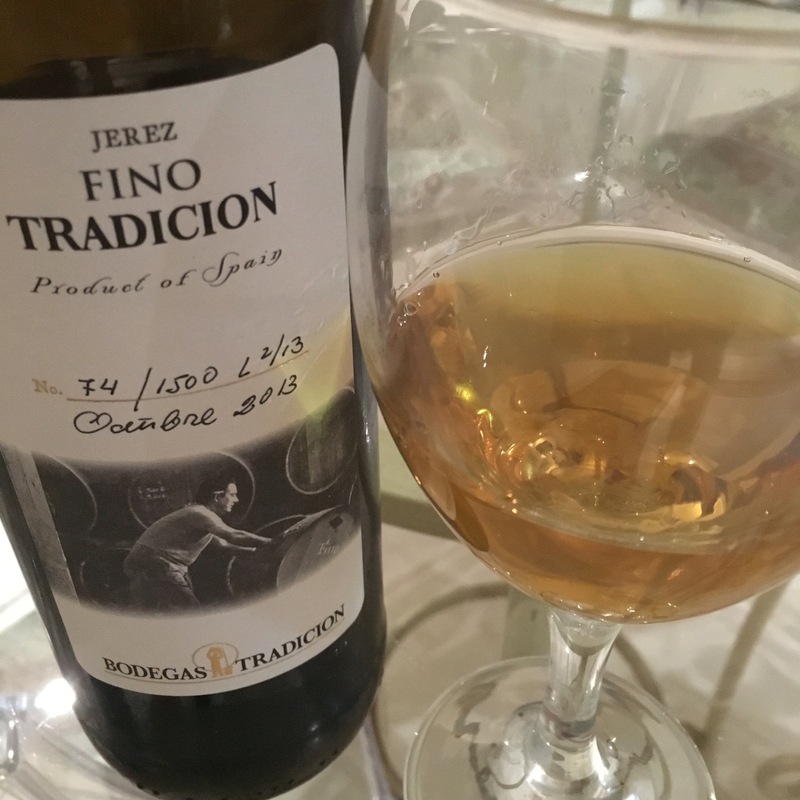 On the blog I have previously tried the May 2013 saca, the May 2015 Saca (not once but twice) and the November 2015, and pre-blog I had also had the October 2014 and my impression is that for whatever reason these are getting better as the years go by. This one looks a shade darker in colour to me, and although this stemware is not quite the best it also doesn’t look quite right in terms of brilliance – maybe not cloudy but slightly dull. The nose is quiet and jura like but not all that cheesy, and on the palate it doesn’t seem to have the nutty, umami solidity of some of the later versions. As a result, the grapefruit flavours I noticed in the May 2013 come across as almost sour in this one. There are nice minerals, it makes the mouth water and there is a long, bready aftertaste, but just not enough on the front end. Chalk it up to the old ones not necessarily being the best I guess.